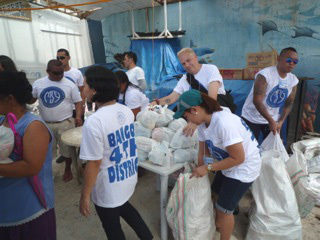 On Sunday, November 17, at around 5am, Mario Hardy, Chairman of the PATA Foundation and Andrew Jones, PATA Executive Board Member, set out in a road convoy for a medical mission with the MSY Charitable Foundation to the North of Cebu. This is Mario’s report. We encountered heavy traffic on the way and had a flat tire half way down and the journey that took nearly four hours. Our convoy was composed of several vehicles and trucks filled with care packages, food, water and medicine purchased with funds donated by the PATA Foundation and the MSY Charitable Foundation. 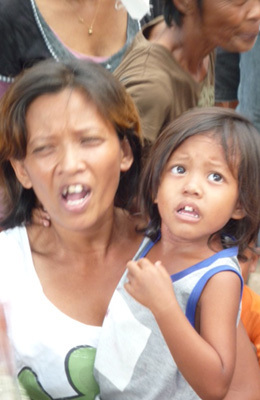 In Cebu and the outskirts of the city there were barely any signs of the disaster ahead. As we got closer to the affected areas, we started to see fallen trees, electrical poles hanging over the road by a thread and roofs completely ripped from the houses. 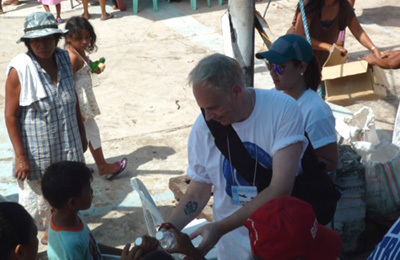 About three hours drive from Cebu we started to sense the real force of the typhoon: houses completely flattened, brick walls fallen, schools, churches and clinics without any roofs and their walls caved in. Families along the side of the road had signs and were asking for help, mostly food and water. Hundreds of children were on the side of the road trying to get the attention of passing cars, hoping one would stop. After hours of driving, we started to move all the care packages into the boats that would take us across to Malapascua Island. Once there, we were met by the captain (chief) of the village. 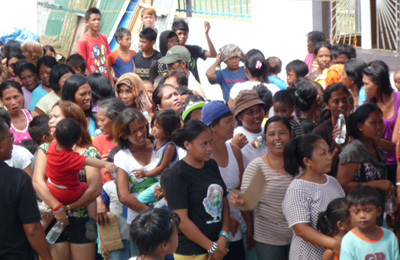 The island had about 10,000 residents and no medical clinics. The situation on the island was bad: houses, resorts and schools where heavily damaged. Many people were injured during the typhoon. 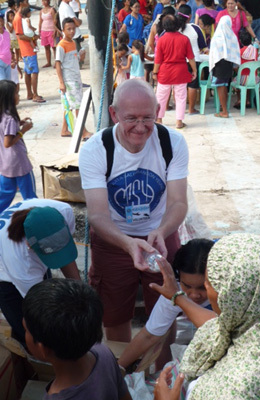 We set up our day camp in the town centre next to the church, which was also badly impacted. Within minutes of setting up, hundreds of people gathered and started to line up. They were seeking medical attention, water and food. The village captain was well organized and had a list of residents to ensure that everyone received the assistance in a fair manner. It was heartening to see people who had lost everything days before. They were still smiling and thankful for our presence. 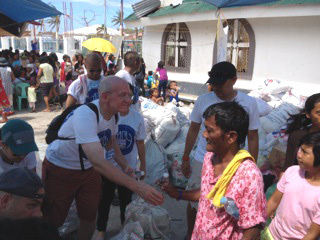 This mission was one of many taken by the MSY Charitable Foundation in the past week in various parts of the North of Cebu. Several more are planned in the coming weeks. The scale of the help needed is almost beyond imagination. Basic help like this will be required for some time before rebuilding and long-term recovery starts. We would like to stress that this situation affects only certain parts of the Philippines. People who have holidays and business trips planned in the coming weeks to unaffected areas should carry on with their plans. 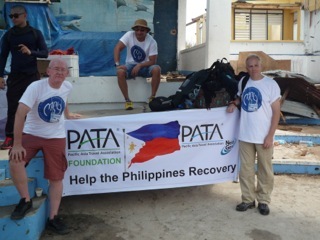 You can help by continuing to donate generously to the PATA Foundation. All donations between now and December 25 will go towards the Foundation’s Disaster Relief Fund for the Philippines. Please donate now.